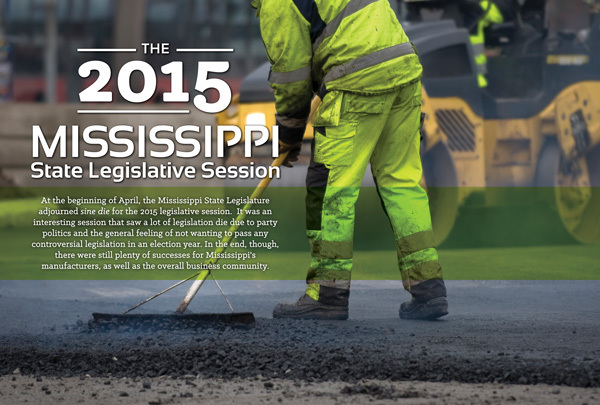 At the beginning of April, the Mississippi State Legislature adjourned sine die for the 2015 legislative session. It was an interesting session that saw a lot of legislation die due to party politics and the general feeling of not wanting to pass any controversial legislation in an election year. In the end, though, there were still plenty of successes for Mississippi’s manufacturers, as well as the overall business community. During the 2015 legislative session there was finally a movement among the political leadership to do away with the franchise tax. The franchise tax is defined by the MS Department of Revenue as “a tax imposed on corporations for the privilege of doing business in the State of Mississippi.” The estimated annual cost is $220 million, $45 million of which is paid by manufacturers. Lt. Governor Tate Reeves announced a tax cut plan in February that included a 10-year phase out of the franchise tax. The possibility for major tax reform during the 2015 regular legislative session officially ended on Monday, March 23, when the House failed to reconsider the vote by which House Bill 1629 failed. The House was unable to reach the three-fifths threshold required to concur with amendments to the bill, which the Senate passed the previous week. With little likelihood of enough Representatives changing their votes on this legislation, House leadership allowed the bill to die on the calendar. While the defeat of this critical tax reduction package was disappointing, MMA is encouraged with how close we came to phasing out the onerous franchise tax. Franchise tax elimination will remain a top priority as we move through this year’s election season and look toward the 2016 legislative session. On March 29, the House and Senate approved the conference report on House Bill 33 unanimously. HB 33 provides a $2,000 per year tax credit for up to five years for companies that hire veterans that meet certain requirements. The total amount of state funds that can be used for this credit is capped at $1 million. $20 million for upgrades at the state-owned shipyard in Pascagoula, operated by Ingalls Shipbuilding. $5M million for capital expenditures for a new product line at Viking Range in Greenwood. $4.2 million to match federal disaster assistance which will help rebuild the Winston Plywood & Veneer facility in Louisville. $20 million for MS Development Authority’s ACE fund, which is used to make grants to economic development projects. Funds were authorized for the Mississippian Railway between Amory and Fulton ($2.6 million) and the Rail Authority of East Mississippi ($1 million). The Governor signed House Bill 589 on March 28. 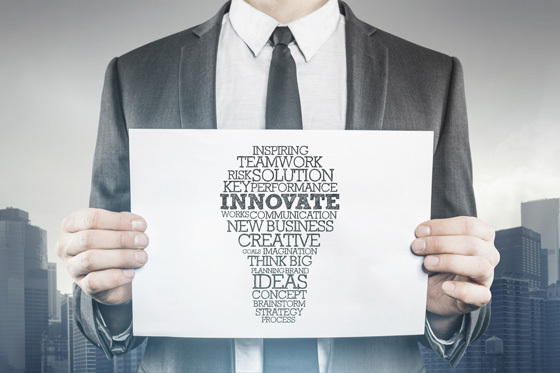 This new law will protect companies from frivolous patent infringement claims, made by entities commonly known as “patent trolls.” The bill also includes protections for manufacturers that are lawfully protecting their intellectual property rights. HB 589 contains a 3-year repealer, which will require the legislature to revisit this issue in a few years if the federal government does not pass comprehensive patent reform. The Legislature adopted Senate Concurrent Resolution 637, which urges the U.S. Environmental Protection Agency (EPA) to withdraw their Clean Power Plan under Section 111(d) of the federal Clean Air Act. While this resolution is not legally binding, it puts the legislature on record as opposing the proposed rule, and offers potential legal and administrative recourse if the plan is not withdrawn. Like all states, Mississippi is currently facing a major infrastructure problem. With more fuel efficient cars on the road, less people driving due to rising fuel prices, and the increasing cost of construction materials, the gas tax has become a declining source of revenue that is no longer able to meet our funding needs. Over the past year-and-a-half, elected officials have met with interested parties to discuss the best long-term solution for Mississippi. MMA has been active at these meetings, and has maintained the position that our state’s transportation infrastructure is a critical component to robust economic development and therefore a comprehensive solution must be reached. HB 1630 was a bond bill that passed the legislature during the 2015 session and authorized $200 million in bonds for road and bridge repair. Off the top, $18 million is set aside for MDOT to construct a bridge over the railroad in Vicksburg, and $20 million will be deposited into the State Aid Road Fund. The remaining $162 million will be used to repair and replace deficient bridges on the MDOT system, with preference being given to bridges in gaming counties. The rest of the bridges are to be fixed according to a list of deficient bridges compiled by MDOT as of July 1, 2015. The National Bridge Inspection Standards set by the Federal Highway Commission are used to determine the list of deficient bridges. A bond sinking fund is also created for the purpose of paying the debt service on these revenue bonds. MMA supported this bill throughout the process, and recognize this as a good first step towards dealing with the looming infrastructure issues that face our state. All indications are that a greater focus will be given to transportation and infrastructure issues next session, and the MMA staff will continue to be a part of these discussions. Workforce development is one of the top concerns for manufacturers across Mississippi. The ability to recruit and train skilled workers is absolutely necessary for companies to succeed. As such, MMA regularly works to increase funding for workforce training as well as enhancing training opportunities. This session there was legislation that would establish the Mississippi Works Fund. The 0.2% that employers currently pay in unemployment taxes would be transferred to the Mississippi Works Fund for the next two years. This would generate an estimated $25 million a year to this new fund. There would be no increase in unemployment insurance premiums, and this would not negatively impact the Unemployment Trust Fund. Due to an inability of opposing sides to agree on a compromise, this bill died during conference. The MMA will continue to support any proposed legislation that would help create a more robust workforce in Mississippi, attracting better paying and higher skilled jobs, and making our state a destination for economic development activities. Kelly Wright is the Associate Director of Government Affairs for the Mississippi Manufacturers Association.